« Stranded in this damp city makes my bones freeze beyond recognition. It’s also hard to breathe normally, very much like the very hot weather of the desert. Take out the zire from the coat pocket and read a few pages of the book of the month just to kill a little time. I don’t concentrate on what I’m reading, instead I think about the best way to get these local people to cooperate in my mission. It’s not always like this, but today, this is how I feel; kind of lost in too many doubts and too much humidity. Note by the editor: The “Report from the desert” was published between October and December 2004 at the URL reportdesert.blogspot.com by an unknown author signing as “RD”. It is also available as PDF at angelfire.com/film/filmzero/, together with other writings. 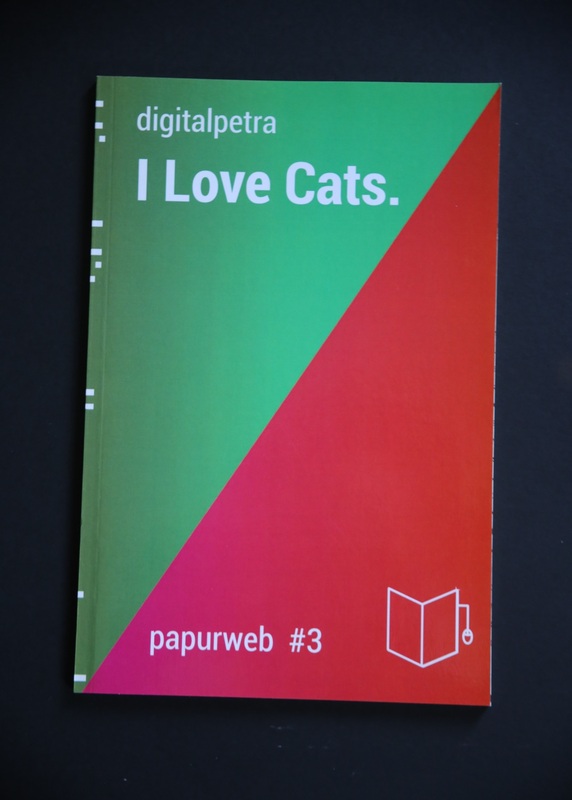 Greyscale Press is releasing the paper version of this enigmatic text. 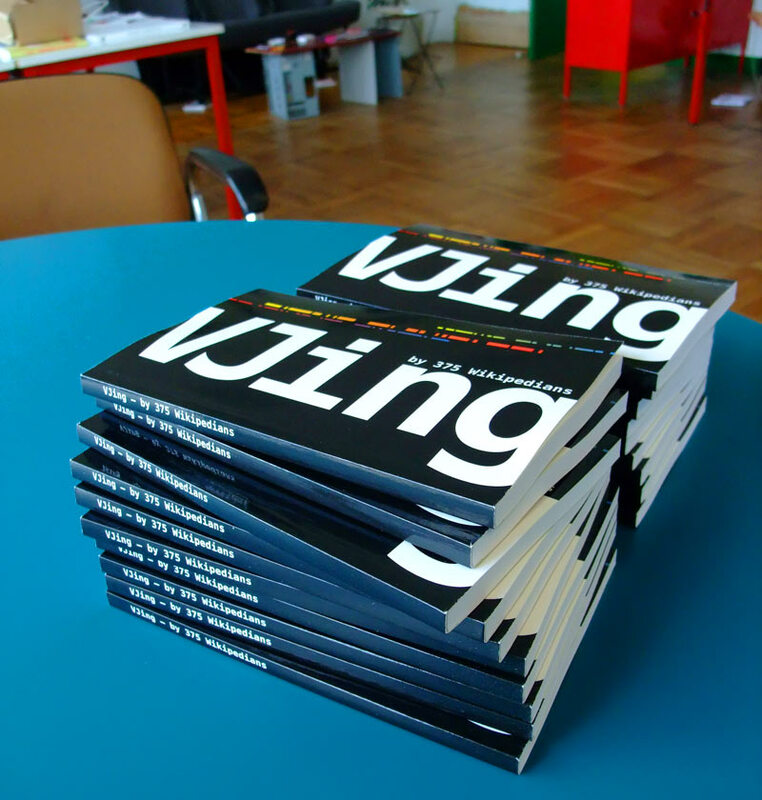 The price of the printed book only covers the manufacturing costs, the editor having set his income to zero. 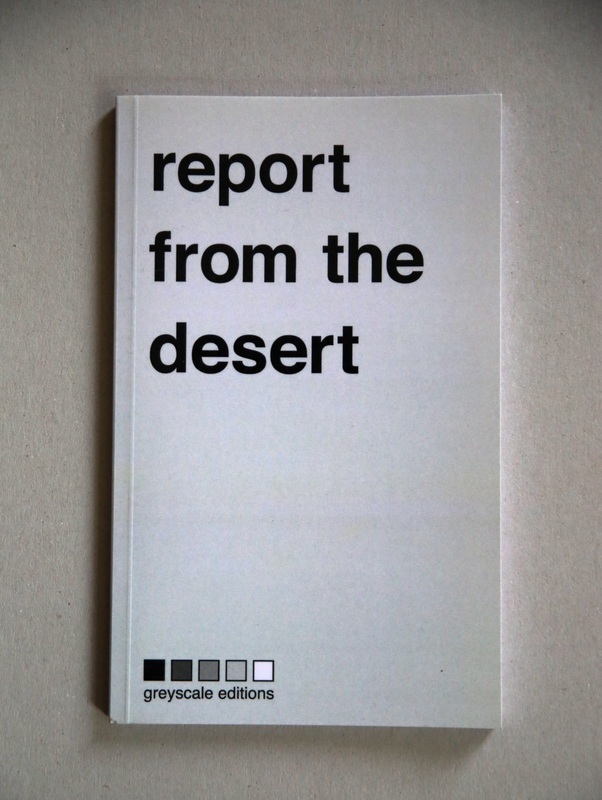 “Report from the desert” is a strange piece of literature. Since it exists, there has been an author. But the author does not appear with the usual signs of authorship: biography, image, name. The report is strange in that sense that it is not a well crafted story, it appears as if just jotted down, instantly published online, more a series of drafts than a conscious montage of situations and figures that would form a short story or a novel. Indeed, taken from a blog, editors Isidore Voight1 and Manuel Schmalstieg re-published the story in a small book, transferring it into a medium that – at least for my taste – still seems better suited for reading compared to a computer screen. The narrator appears to be a computer enthusiast who is on a mission. However, we never learn what the mission actually is. He meets people, he is getting interested in a woman, but the interest dissolves. He goes to a place called GotaloNia, that is at least geographically mysterious and seems to be filled with positive reminiscences for the narrator. Searching with Google brings up a reference to the Visigoths and their King Ataulf who in AD476 captured an area south of the Pyrenees and named it Gotalonia. But again, we’re left behind disappointed. It is a trace, without explanation or result. Part of the mission is the creation of reports, which seemingly consumes a lot of time and attention of the narrator. It might be, that what we read is the very collection of these reports, but I’m not quite sure. The reports basically discuss, which software was used to write the reports, what computer the software is running on, how it compares to other computers and operating systems: “Back into writing this report now on another application titled ‘HTMLEditoR’ and previewing in OmniWeb browser, which looks great by any standarts. The browser was made for NeXTStep back in the 90’s and is now available only for OSX. It’s quite confortable to be able to use this LucidaGrande font face on the Tangerine SGI machine. It makes me feel more at home. An SGI laptop with a source html editor? Well, the world is a weird place with weird things.” And weird stories, I might add. Although my comments about “Report from the desert” might sound disappointing, this is not the case. Actually I enjoyed reading the book. But, I would recommend the book to a certain readership. If you grew up somewhere between the 8-bit Atari and the most current OS-X and if you love to use and program computers, you may enjoy the little stories hidden in the “Report”. 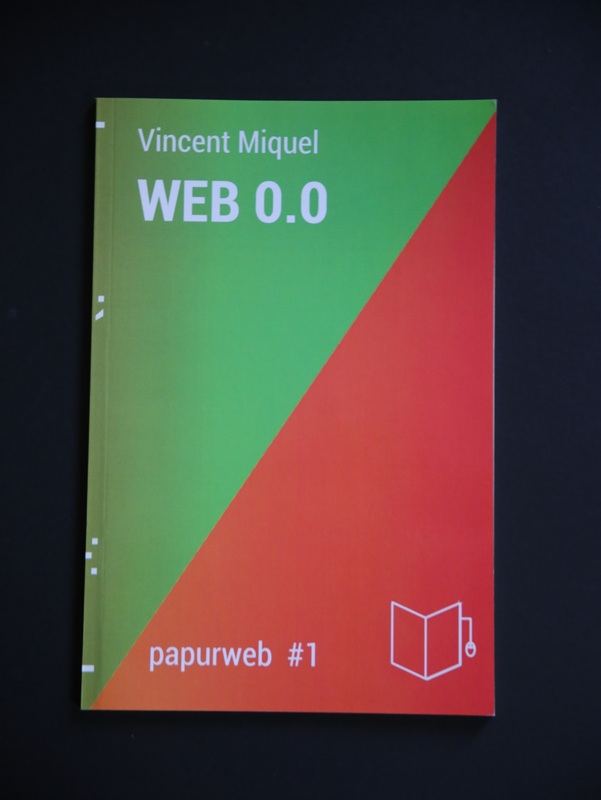 It preserves and retells certain aspects from the history of the computer as a medium and a machine. Report From the Desert reads like a road-trip, but a very particular one. In this journey travelling happens not on the physical space, but through the space of the screen. The reader experiences the narrator’s excursions through different computers, operating systems, window managers and applications. The movements seem synced to the rhythm of the train where I began reading Report From the Desert. Now that I am stuck in a flight, the Report’s pace seems distant from the acceleration of this transport medium. While reading I kept asking “where is the action taking place?” and “who is writing it?”. At first the narrator seemed to be in a lost town, somewhere in the southern USA, under a blazing heat and constantly surrounded by computers. Upon further reading the desert became more Mediterranean, maybe situated on the south of Portugal, Spain, or even Morocco. The image is that of a small town, with only a couple of sad bars and empty cafes where the ventilators are constantly on, so that customers and owners can cope with the heat that paralyzes everything but the flies. The author’s identity is no less enigmatic. The book’s colophon shows no reference to an author. 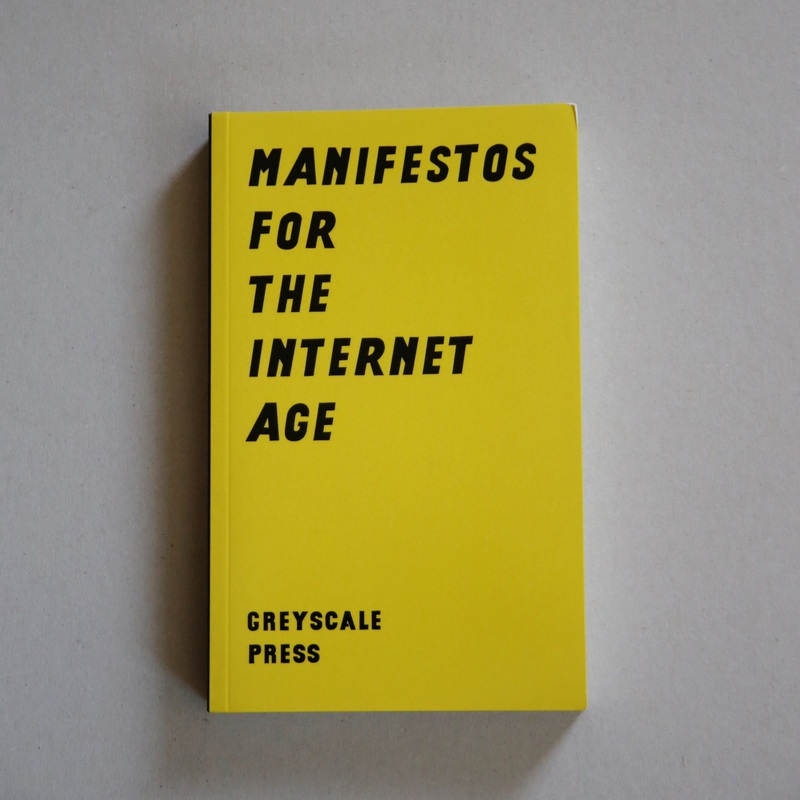 For sometime I though the mind behind Greyscale Press, Mr. Manuel Schmalstieg, was the Report’s author, but upon hearing Schmalstieg present the book it all became clear. The text is based on a blog, written in 2004 and since abandoned. Not surprisingly, these explanations rather than clarify things, made them even more mysterious. Who is the person behind the blog? For what reason did he (is he a he?) decide to write these posts? Is the story fruit of his imagination, elaborated while sitting at home in nights of insomnia, or is he actually writing from a shabby hotel room under a blazing heat? I don’t know the answers, perhaps it’s even better not to know them. All the loose ends add to the pleasure of reading this mysterious story. 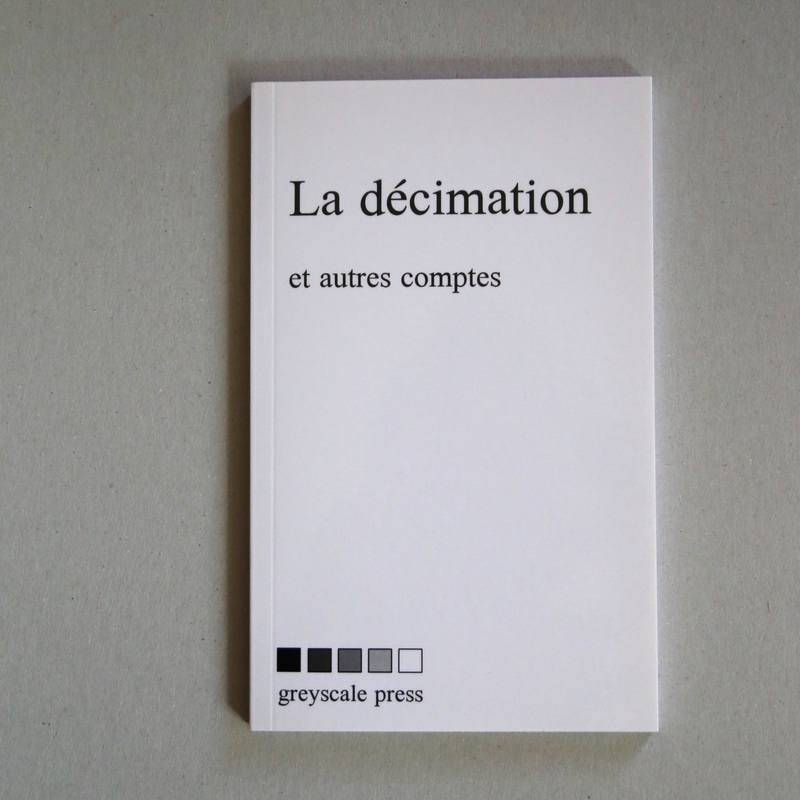 I am thankful to Greyscale Press for having found and published this text. The flight is about to land, please go back to your seats and fasten your seat belts.